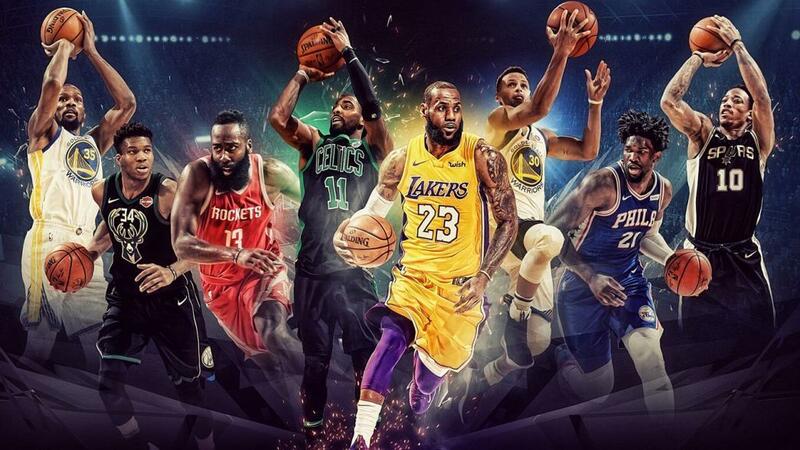 The 2019 NBA Playoffs is about to get underway with less than four weeks to go and we see plenty of tight races to keep an eye on as the playoff picture is beginning to take shape in both the Eastern and Western Conferences. Let’s examine the eight games of action earlier and who is probable set to match in the upcoming playoffs. First, we go to the Milwaukee Bucks as they hosted the Philadelphia 76ers at the Fiserv Forum. Both sides entered in a thrilling battle, but the visitor made a statement with a 125-130 win on the road despite of Giannis Antetokounmpo’s career-high 52 points, 16 rebounds, and seven assists. On the other side, Joel Embiid were trading buckets with Antetokounmpo in there one-on-one matchups where the 76ers center tallied 40 points, 15 rebounds, six assists, and three steals in victory. Moving forward, the Bucks is leading the Eastern Conference with 52-18 win-loss record while the Sixers sits at third spot with 45-25. Meanwhile, the sixth-seeded Detroit Pistons pulled off an upset against the second-seeded Toronto Raptors with an epic 110-107 victory. Blake Griffin led the team with 25 points and eight rebounds while Reggie Jackson added 20, including Andre Drummond’s 15 points and huge 17 rebounds. Next is the New York Knicks as they stormed back in the fourth quarter to defeat LeBron James and Los Angeles Lakers, 124-123. It was Mario Hezonja who came up with a big block against LeBron in the closing seconds of regulation to seal the win. For the Orlando Magic, Nikola Vucevic showed another strong performance to beat the Atlanta Hawks, 101-91. Thanks to Vucevic’s 27 points and 20 rebounds to lead the squad as they continue their playoff hunt. The Miami Heat boosted their playoffs chance with a 93-75 victory against the Charlotte Hornets, led by Goran Dragic’s 19 points and Dwyane Wade’s 17 points. As of now, they still hold the number eight spot in the Eastern Conference. In the meantime, Sacramento Kings are still fighting for the last playoff spot in the Western Conference as they bullied Chicago Bulls with a 129-102 win. The Rockets also dominated the Minnesota Timberwolves, 117-102, with Chris Paul’s triple-double 25 points and 10 assists. James Harden and Clint Capela contributed 20 points each. Lastly, the Los Angeles Clippers beat the Brooklyn Nets in Lou William’s buzzer-beating three to seal the 119-116 triumph and further hold the 8th spot of the Western Conference for the upcoming playoffs. With the results of March 18, 2019 (GMT +8) being said, here are the snapshots of the possible playoff picture.